Ever since I have gotten into glam planning, I have seen a huge increase in productivity. I have been studying more and I actually have a grip on the disaster I call a life. 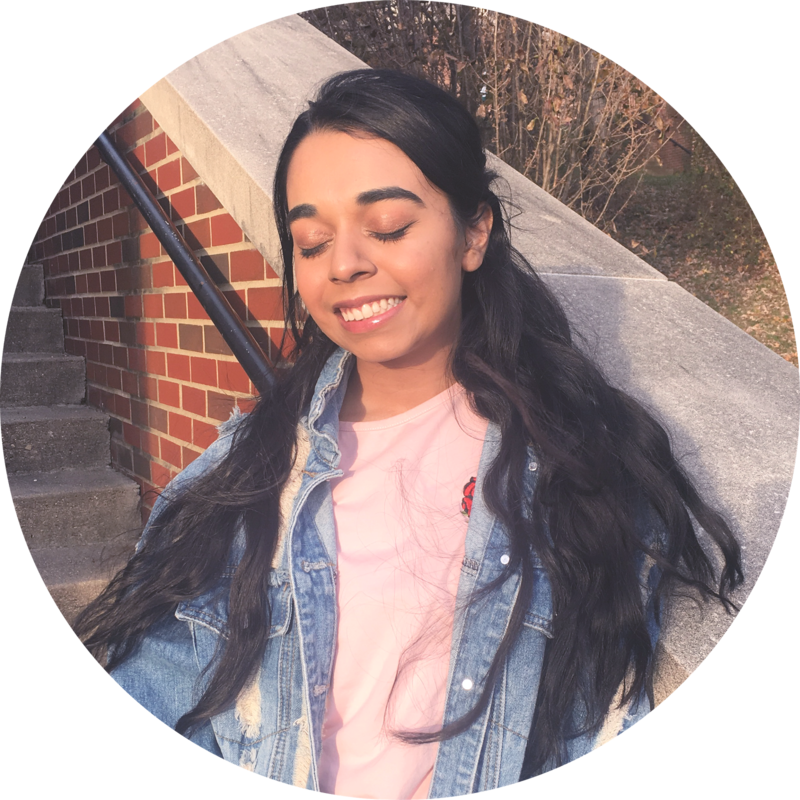 It is all thanks to the copious amounts of stress from scholarships, tests, and colleges. However with this handy-dandy planner I am a lot more organized and a lot less stressed out. I have not found a weekly spread I feel that works for me, so I will share that next time. However, I started a college page in my notes section. 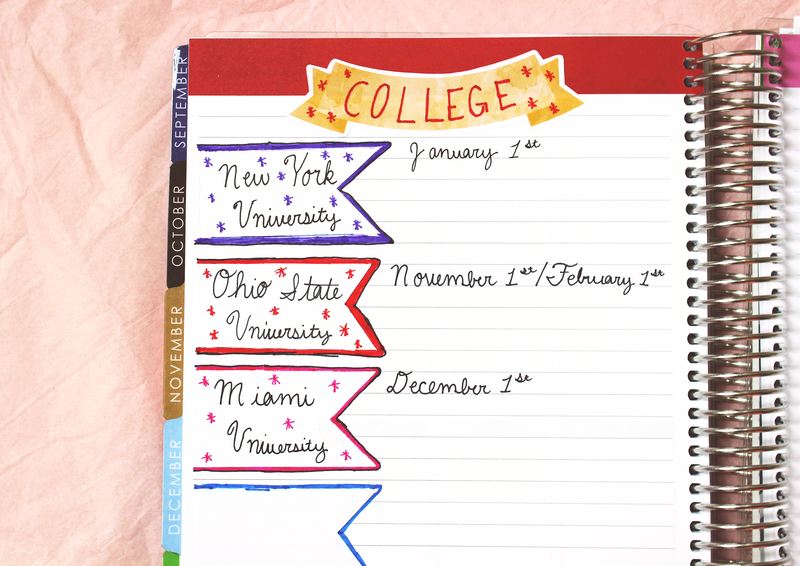 I have four colleges I like and will be applying to; NYU (Dream School), OSU (Other Dream School), Miami of Ohio (beautiful! ), and American (GOD BLESS THIS CAMPUS!). I got inspiration from this Tumblr post. 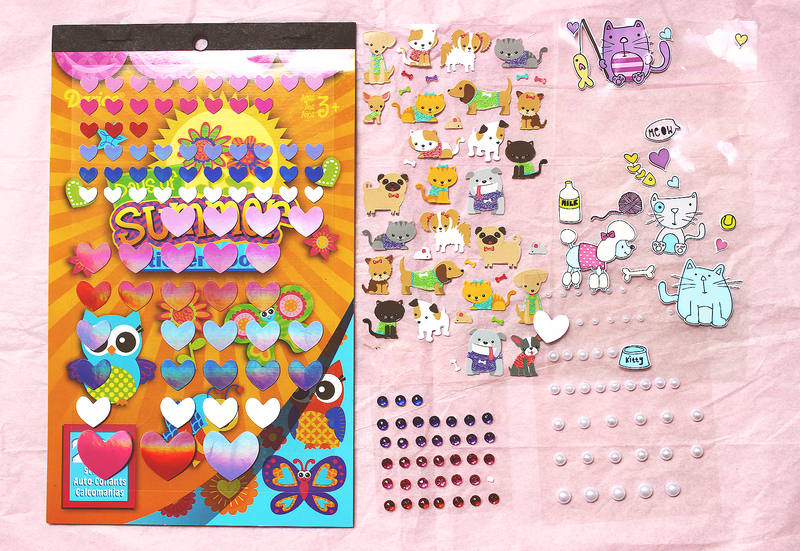 This planner would not be fun without all the stickers. 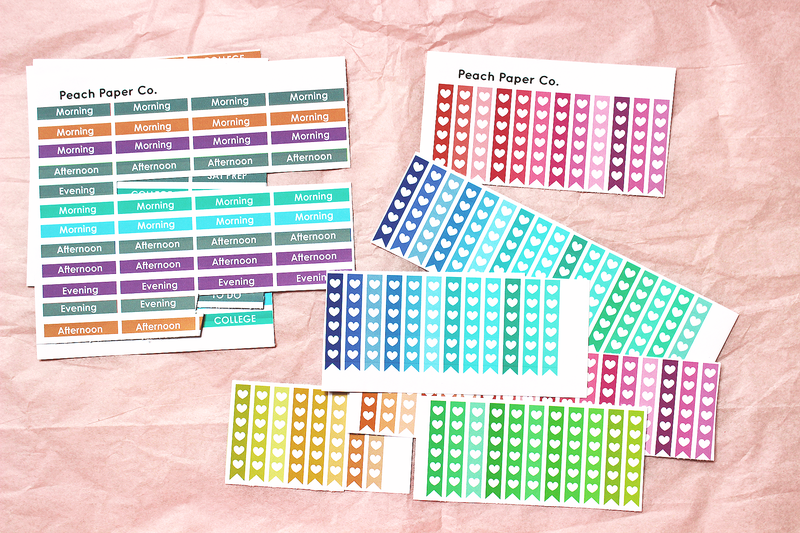 The ones above are PDF files I bought from the etsy store named Peach Paper Co. I edited the headers to say things like Morning, Afternoon, College, Act, etc. I also added a gray header set to match the September spread colors. I also got the 100 heart checklist set for lists. These were printed on some sticker paper (which it really dangerous because you will get addicted to printing stickers) I got from Amazon. 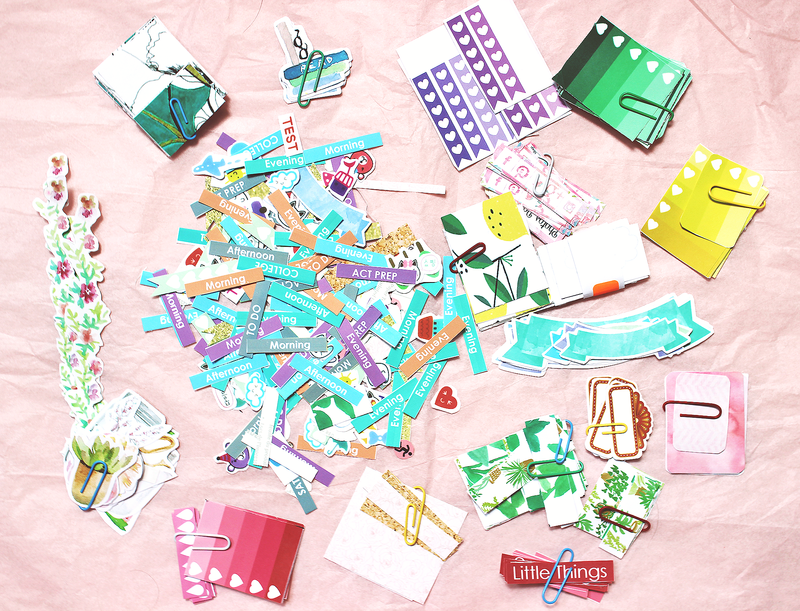 These are my most used stickers I purchased from my craft store. I really like all of these, but I don't want to waste them because they did cost a bit of money. My favorite is the booklet under the heart sticker sheet. 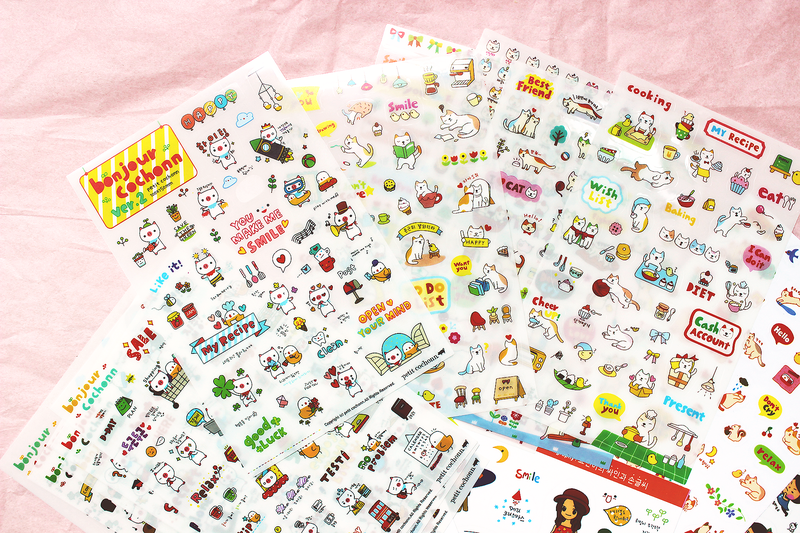 It comes with so many cute stickers that can easily fill up empty space. 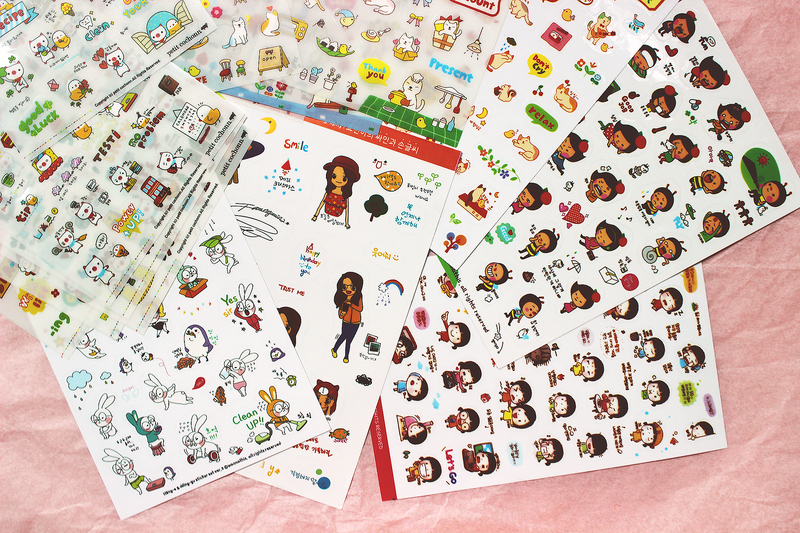 These are favorite stickers and how I will probably end up decorating my planner. I got the pig set (I thought they were bears) and the cat set from Amazon. I got one sheet from a bunch of different sets from a store envy store called Jelly's Fancy. What college did you go too? 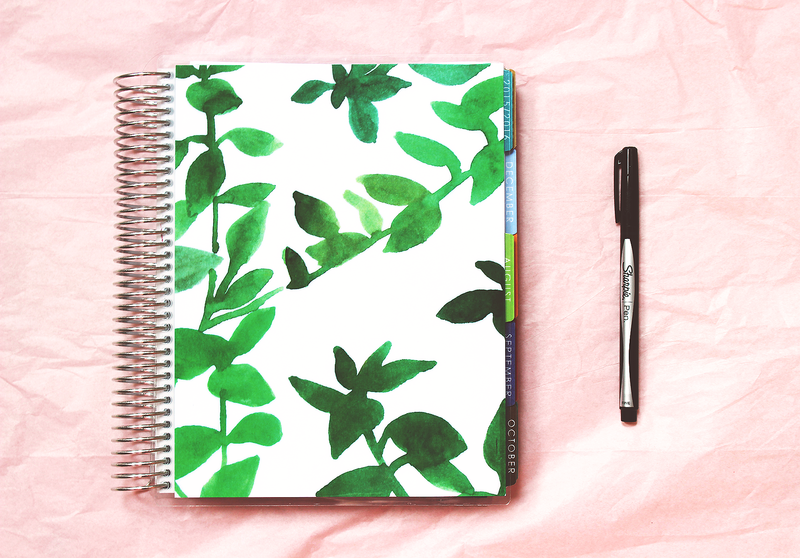 What kind of planner do you have? How do you like to plan?